Traveling Croatia and searching for adventure? Wanna experience all the beauties of diverse Croatian landscapes? You find yourself enjoying in the wild nature and you are fond of active holidays? Come to Paklenica – a place where natural, cultural and historical heritage combines the best. Book accommodation in room or apartment in Paklenica and start the adventure of your life! 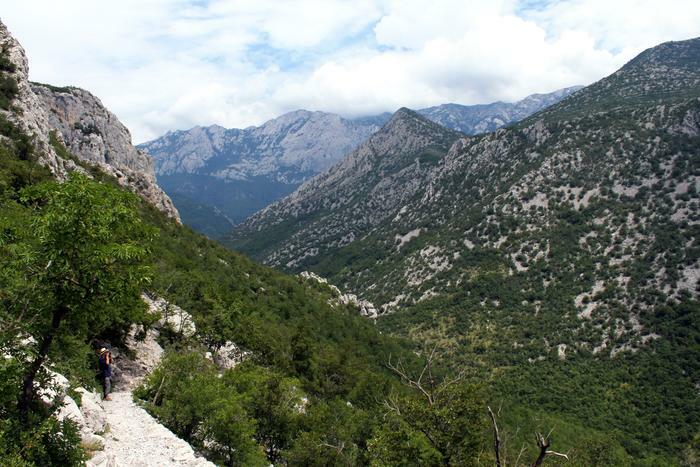 Paklenica National park is a part of the largest Croatian mountain Velebit, which is proclaimed as a biosphere reserve and internationally recognized by UNESCO. In Paklenica you can enjoy for days! There are plenty of one-day trips suitable for anyone: walk through the Velika Paklenica canyon up to the mountain hut (2h in one direction), visit "Manita peć" cave or take a tour through the Mala Paklenica canyon. For more experienced mountaineers, we recommend hiking trails to several Velebit's largest peaks: "Vaganski vrh", "Crni vrh", "Sveto brdo" (you may need one sleepover in a hut or shelter), and for other sport lovers there is climbing in Velika Paklenica canyon or bike riding. Sounds of nature often to be heard from the apartment or room you've booked in Starigrad or Seline will inspire you for a new march to Paklenica and Velebit. Search for affordable accommodation nearby in our wide accommodation offer. For free climbers Paklenica is a heaven on earth. Whether you like short climbing routes (in Paklenica there are hundreds well-equipped routes of different difficulty from 3 to 8b+) or multi pitch routes, you are at a right place! The easiest short routes in the canyon are quite worn by many visitors-climbers, which only means that the directions you might thought to be lighter have actually become challenging. Anića Kuk - the most famous monolithic rock in Croatia offers up to 350m long equipped directions. In case you seek information about how well equipped some direction are and what to take with you - read the climbing guide which you can buy on the spot in the gift shop. If you're planning a trip to Croatia only because of climbing, we recommend autumn/spring/summer because the canyon provides plenty of shade for climbers. During spring the atmosphere is wonderful, including the lovely sounds of the stream called Velika Paklenica with lots of waterfalls. At the beginning of May, each year there has been an international competition in quick climbing the huge rocks. This year as well.